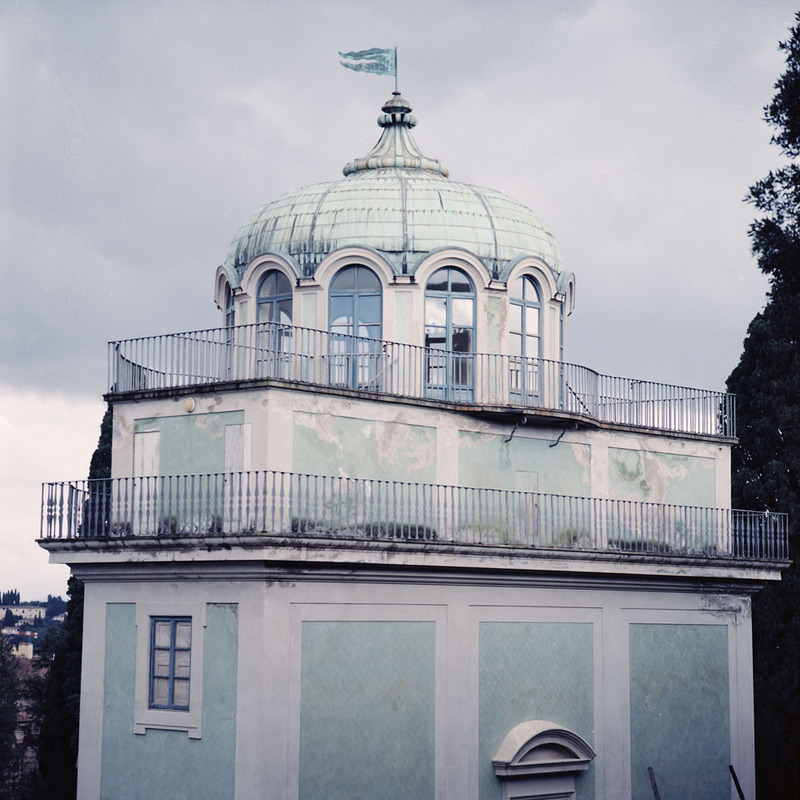 The architectural folly known as the Kaffeehaus (Coffee House) in the Boboli Gardens behind the Palazzo Pitti. The Coffeehouse was built by Maria Theresa while she was the Grand Duchess of Tuscany (she would later become the Hapsburg Empress of Austria-Hungary). 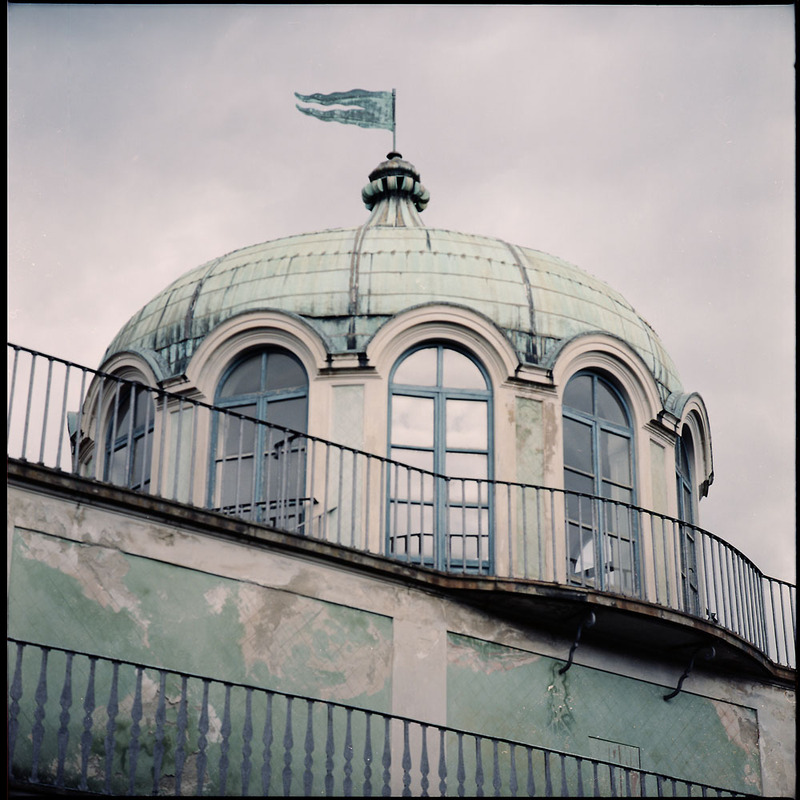 Thus the German spelling of the name for the building, which comes from its purpose- it was a refreshment center for visitors to the gardens to stop and get a coffee or tea or other beverage – exploring the 110 acres of the Boboli Gardens is thirsty work. 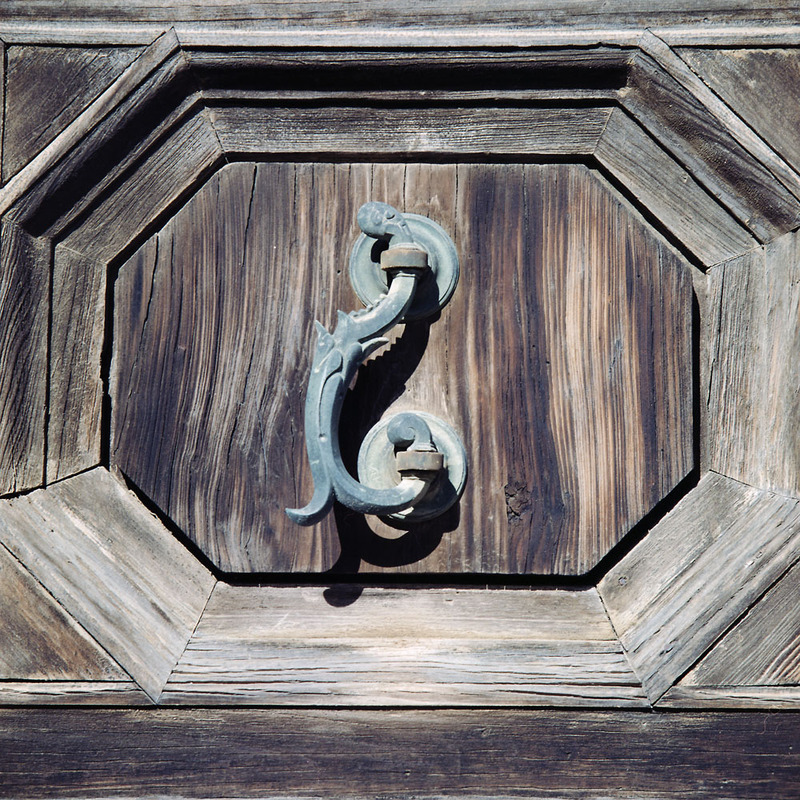 This is a bronze door handle on a well-weathered door in the gardens. 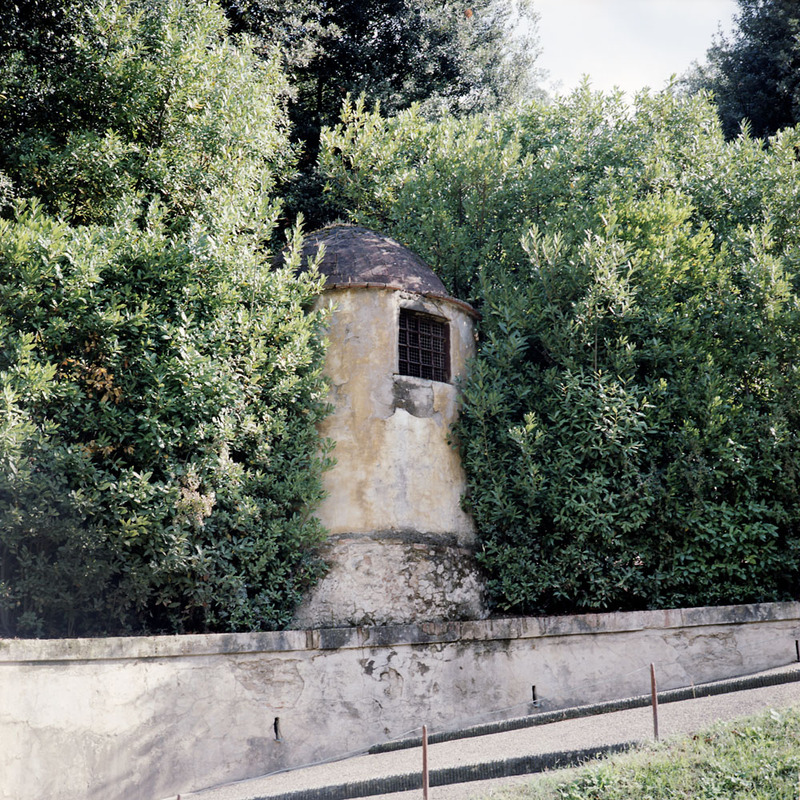 I forget what structure it is attached to – it might be one of the servant’s entrances to the Palazzo Pitti. 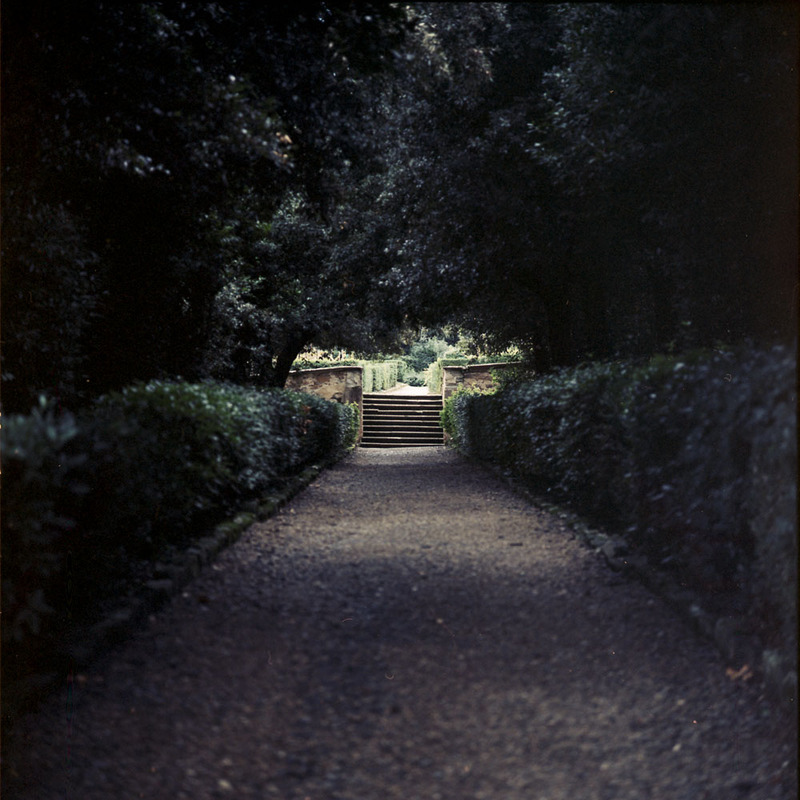 An allee of tall hedges in the Boboli Gardens, leading to a staircase. The gardens themselves are built onto the slope of a hill, so they have many changes of elevation. A tower set into the hedges along the ramp from the amphitheater to the Neptune fountain. I’m not sure what purpose it serves- it could be just a garden shed for storing tools and groundskeeping equipment, or it may relate to the water control systems for the myriad fountains in the garden. 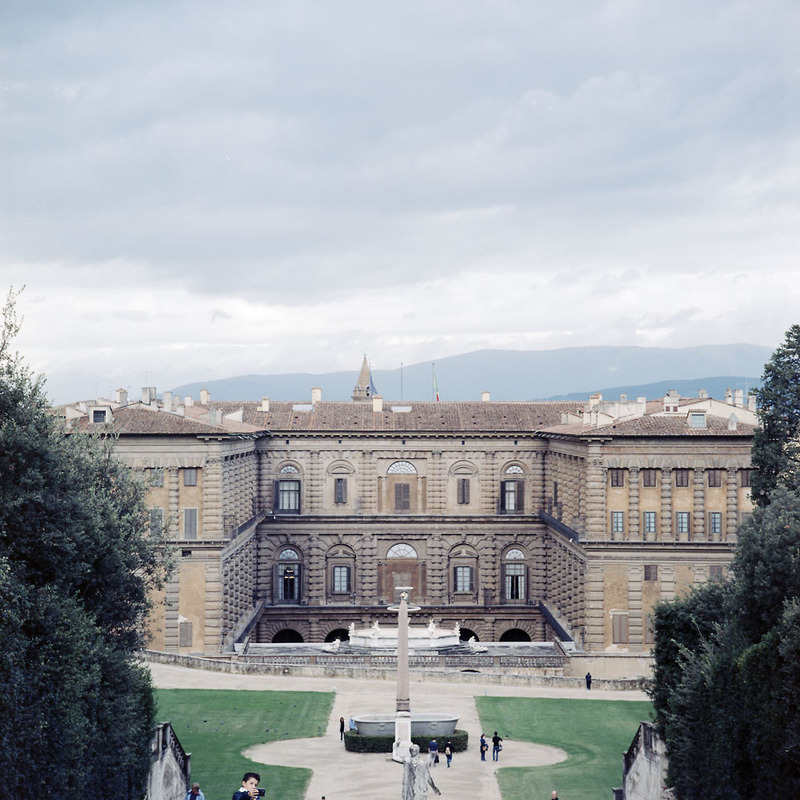 A view of the Palazzo Pitti from the top of the amphitheater stairs. The title comes from the boy in the lower edge of the frame taking a phone selfie. A very modern take on a very old palace.